Thank you to everyone that entered my Yoplait Kids Yogurt prize pack giveaway. 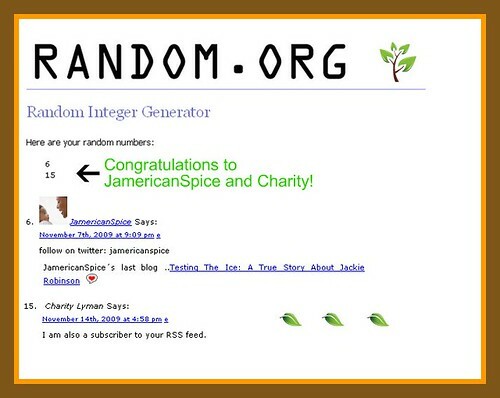 This morning I used Random.org to get two entry numbers for the prizes. JamericanSpice and Charity now have 48 hours to respond to my e-mail with their information for prize delivery or the next person will be notified. Be sure to check out my Softlips giveaway that is currently taking place and another one will be coming later today. I emailed you ! Whooo! Thanks for the opportunity! .-= JamericanSpice´s last blog ..Monday Mingle: November 15 2009 (W) =-.